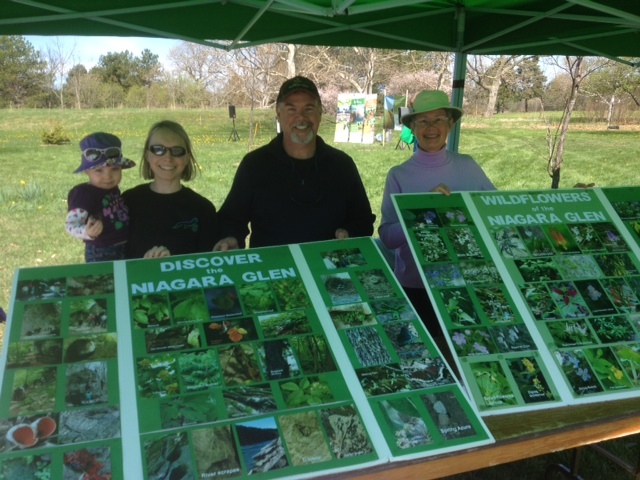 On Saturday May 2, a few OAC members, the Friends of the Niagara Glen, and local Niagara community members got a chance to directly support the Niagara Glen community in a local reforestation project and learn about the benefits of trees, shade, and green urban spaces. 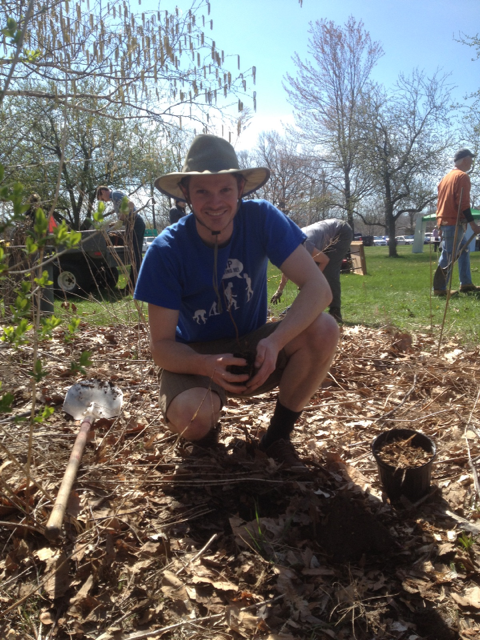 As a result of its strong partnership with Forests Ontario, the Niagara Parks Commission has greatly expanded its tree planting program. 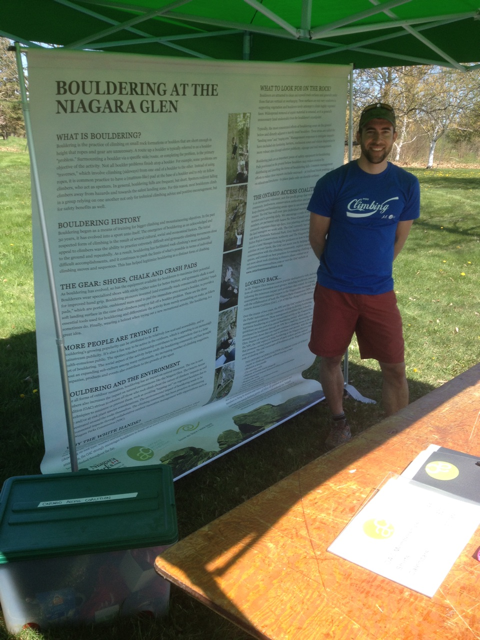 In 2014, over 30,000 new trees were planted in the Park, including the restoration of over nine hectares (24 acres) at the Legends on the Niagara Golf Course Complex. In 2015, NPC intends to plant an additional 40,000 new trees and seedlings on the over 1,300 hectares of property it is entrusted to protect. As a bonus, the OAC got to talk with those interested in learning more about the amazing bouldering opportunities within the Niagara Glen. 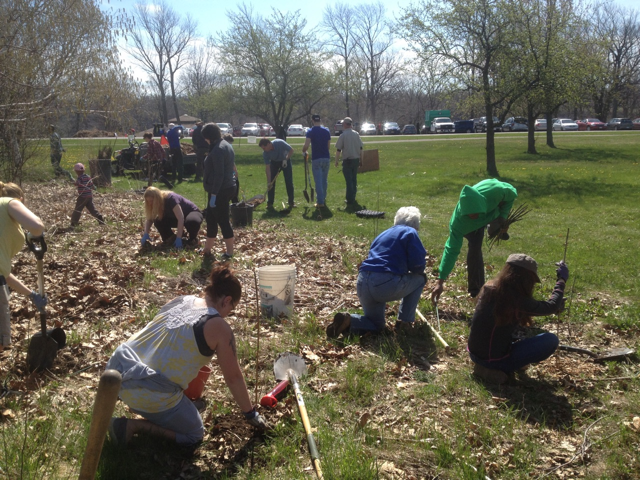 Overall, it was beautiful sunny day that showcases how teamwork between the NPC and other area stakeholders can benefit the natural environment. Forests Ontario is the voice for our forests. Working to promote a future of healthy forests sustaining healthy people, Forests Ontario is committed to the re-greening of Ontario through tree planting efforts on rural lands and in urban areas, as well as the renewal and stewardship of Ontario’s forests through restoration, education and awareness. Visit www.forestsontario.ca or follow @Forests_Ontario. The mission of the Friends of the Niagara Glen is to be a self-sustaining and motivated not-for-profit community initiative that promotes land stewardship ethics, educational experiences and sustainable outdoor recreation practices along the Niagara River corridor reserve, in concert with the mandate, mission and vision of The Niagara Parks Commission. The group envisions an ecologically sensitive Park area kept for future generations by increasing environmental awareness and stewardship practices through community involvement. New members are always welcome to join. For more information, please visit www.niagaraparks.com/friends-of-the-glen.